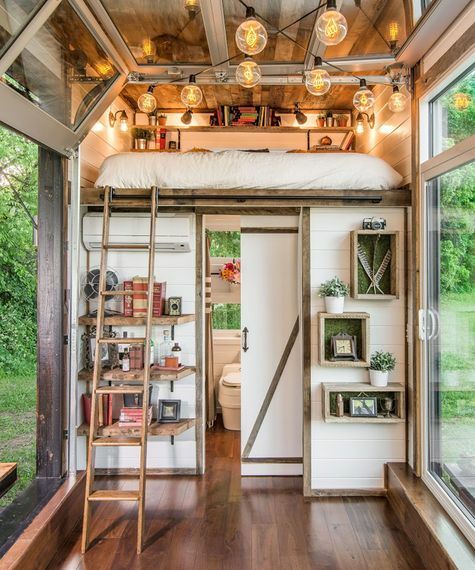 The tiny-home trend has really taken off in the last few years. 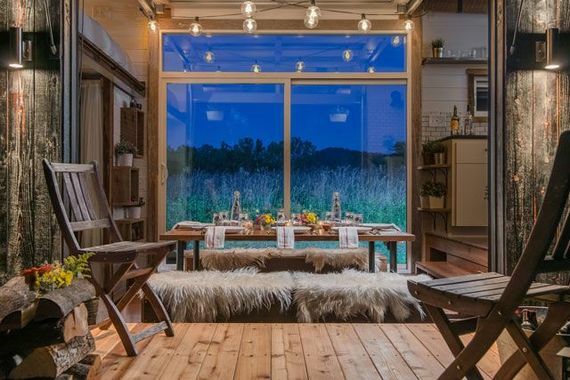 Here, you can look inside the Alpha Tiny Home, New Frontier's flagship model. At only 246 square feet, it's just about the fanciest little thing you've ever seen. Photo courtesy of Studio Buell Photography. 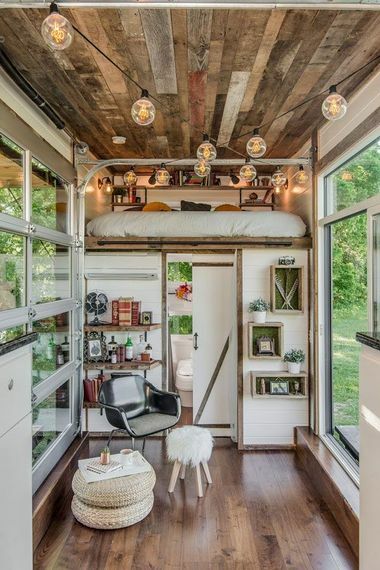 The tiny-home trend has really taken off in the last few years. That's perhaps partly thanks to the variety of shows on HGTV that feature tiny homes, like Tiny House Builders, Tiny House Hunters, and Tiny House, Big Living. This last show is where you'll see the work of New Frontier Tiny Homes, the builders of the world's ultimate micro-abodes. 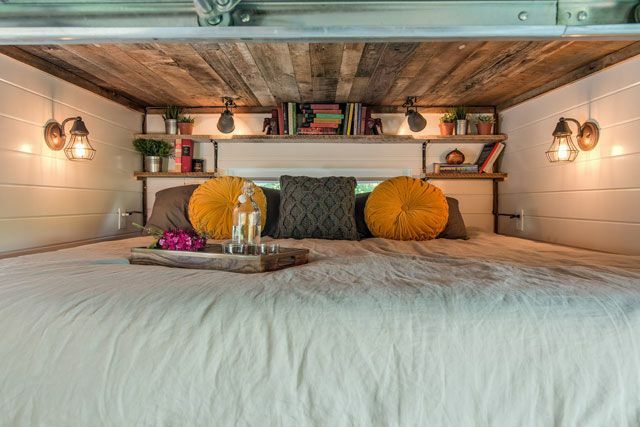 Here, you can look inside the Alpha Tiny Home, New Frontier's flagship model. 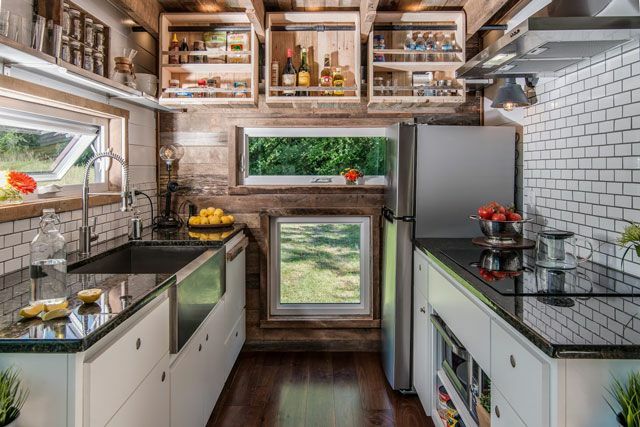 At only 246 square feet, it's just about the fanciest little thing you've ever seen. The Alpha Tiny Home is customizable based on the owner's needs and, according to Huffington Post Home, costs around $95,000. 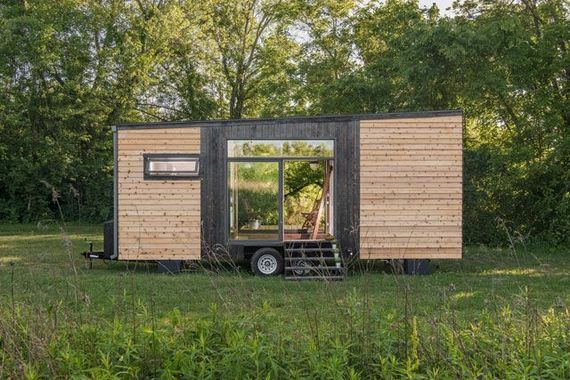 The siding of the mobile tiny home features a stunning combination of Red Western cedar and shou sugi ban cedar. The inside is filled with reclaimed barn wood for a rustic yet sophisticated look. The comfy king-size lofted bed is accessed via sliding library ladder. 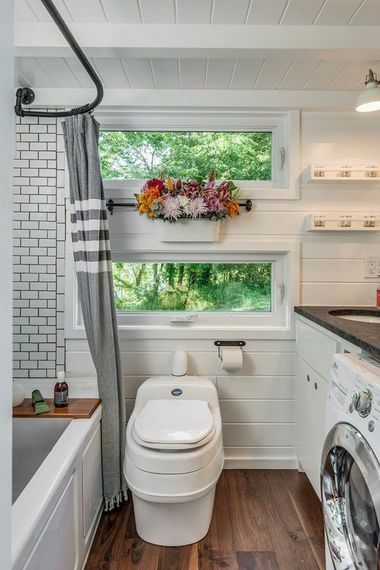 Space-saving pocket doors open to a bathroom complete with gorgeous subway tile, a Jacuzzi tub, a composting toilet, and even a washing machine. 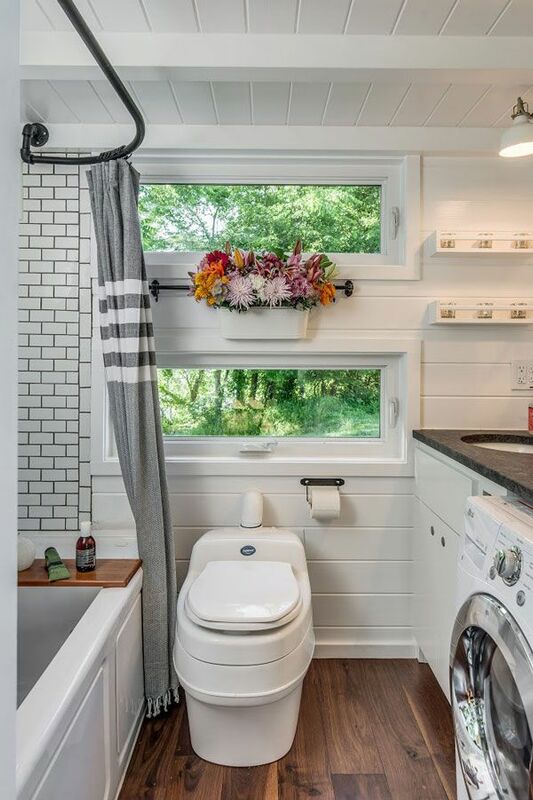 Who isn't a sucker for a farmhouse apron sink? And granite is the last thing we'd expect to see in a mobile home. It may be small, but there's room for an eight-person dining table. And check out that fold-down deck.